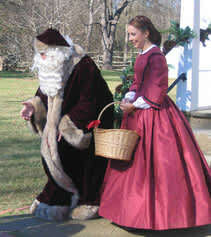 Step into an 1860s Christmas as you stroll through the plantation house, grounds, and outbuildings. Live Christmas music and local artisans with items for sale will be in the carriage barn. Stay all day and enjoy a hot meal from the food vendors. Admission is $10 for adults, $9 for seniors and students, ages 5 and under, and members, free. Tickets available at event.